•	Are you a physician, architect, lawyer, or developer? •	Are you a business owner? •	Do you employ more than ten people? •	Do you rent or lease equipment or real estate? •	Are you an officer/director of a closely held or publicly traded company? •	Is your annual net income $ 200,000 or does your net worth exceed $ 1m? •	Are you older than 65 years of age and operate a car, plane, or boat? •	Have you been married more than twice? *If you answered any of these questions with a “Yes,” there is a statistical likelihood that you will become subject to a lawsuit at some point. **If you answered two or more questions with a “Yes,” every statistic indicates that you will be sued eventually and plaintiffs will attempt to collect money from you. 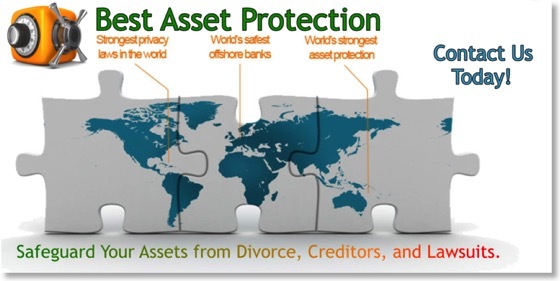 Our Asset Protection Group helps clients by providing representation against creditors. Our wealth management solutions include wills, trusts, prenuptials, and real estate recommendations. The U.S. legal system ensures that every person who feels victimized or injured can use the court system to do justice. In fact, Americans spend more money on lawsuits than any other country. No surprise, with more than one million active lawyers, the United States ranks first in the world when it comes to lawyers per capita and attorney revenue. About $ 40 billion are earned by American torts lawyers in legal fees each year.According to the Association of Trial Lawyers of America, more than 17 million civil lawsuits are filed each year in state courts alone. The annual cost through civil lawsuits imposes a $ 233 billion dollar burden on the U.S. economy each year. With those statistics in mind, the question of asset protection almost answers itself. Asset Protection should be a critical component for any person that wants to be protected from future lawsuits, seizure of assets, anyone owning a business or a home. Professionals, such as doctors, lawyers, accountants, architects or any other person exposed to professional liability should consider how their lives would be affected if they lost everything tomorrow. The goal of asset protection mechanisms is to shield your assets from creditors while maintaining control over your wealth. Various tools exist that isolate you from the legal title to your assets although you continue to control and economically enjoy your assets. Because creditors can’t reach your assets and courts cannot enforce even judgments against you, plaintiffs may be discouraged to file a lawsuit against you in the first place, and, if they do, are more inclined to cease collection once they realize you are represented. Many things you can do will effectively provide asset protection before a claim or liability arises, but few things will afterwards. That’s because what you do after a claim rises could be undone by “fraudulent transfer” law. To assess exactly how much asset protection you may or may not need, you can consult with a qualified attorney to determine your risk. This will help you decide what assets you should protect and what techniques will work best for you.